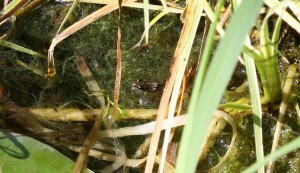 About seven weeks ago frogs laid eggs in our pond, the last time I wrote about them they were still in their tadpole stage and by now most of them have developed legs. 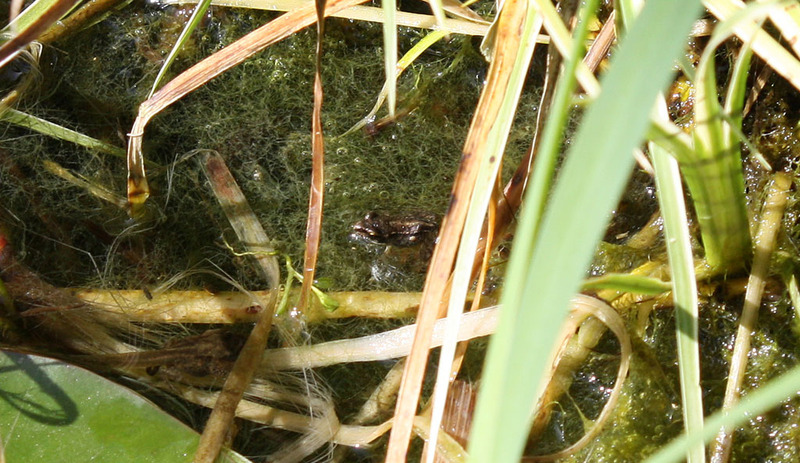 Some develop much quicker than others though, there are some tadpoles in our pond that don’t have legs yet, while at least three have already transformed into tiny froglets. It’s pretty amusing to see them swimming and jumping around on leaves of the water lilies.